The Congress for Democratic Change (CDC) considers Executive Order #65 issued by the President of Liberia as unconstitutional, arbitrary and counter-productive. The CDC observes that an Executive Order cannot override or abrogate a provision of the constitution, except during a State of Emergency, which no longer exists. Hence, her decision to issue an Executive Order suspending a cardinal provision of the constitution, i.e., the inalienable rights of the people of Montserrado, is evident of her attempt to influence and manipulate the conduct of the 2014 Montserrado Senatorial Elections in favor of her son, a Candidate in the aforementioned process. Therefore, the CDC will not comply with this unconstitutional, sinister and irrational ‘Executive Order #65’. The Congress for Democratic Change, believing in the rule of law, will continue to adhere to the Stay Order recently issued by the Supreme Court and looks forward to its ruling. 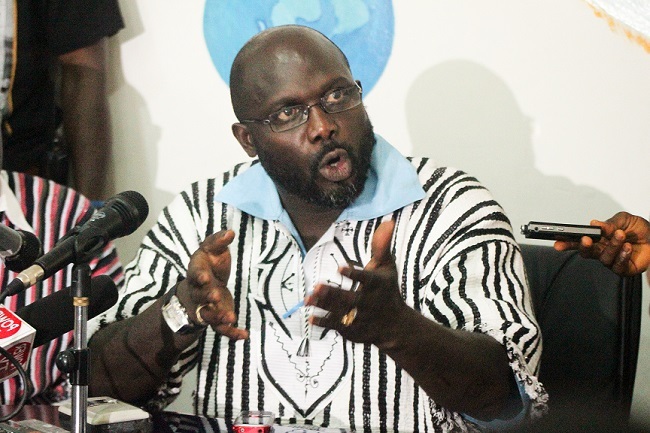 While the CDC and its allies remain in compliance with the decisions of the Supreme Court’s Stay Order on Elections, the President’s unconstitutional issuance of this so-called ‘Executive Order’ does not only preempt the outcome of said process, but also undermines the neutrality and credibility of the National Elections Commission to conduct a free, fair, transparent and democratic elections throughout Liberia. Considering that this illegal ‘Executive Order’ lacks legitimacy thereby constituting a violation of the fundamental rights of the Liberian people, the CDC takes shield in the protection and dictates afforded by the organic laws of the state as enshrined in the constitution of the Republic of Liberia and refuses to confirm to this Executive Order. Consequently, the Congress for Democratic Change views the President’s declared ‘Executive Order #65’, especially its malicious emphasis on ‘Monrovia and its environs’, as a designed mechanism to violate the inalienable rights of the people of Liberia as they look to participate in these elections. The Mighty Congress for Democratic Change reassures its partisans that it will NOT and CANNOT, under any given circumstance, comply with an undemocratic and unlawful ‘Executive Order’ that undermines the rule of law. Lastly, the leadership of the Congress for Democratic Change remains cautious of the prevalence of the Ebola Virus Disease in our country, and admonishes all Liberians to continue observing all safety measures and protocols as published by the Ministry of Health, the World Health Organization, the Center for Disease Control, and other health institutions.